On 18 April 2005 the then Cardinal Ratzinger preached to the cardinals who were assembled in Rome to elect the new Pope. He provoked a huge amount of discussion by saying that Western culture is creating ‘a dictatorship of relativism’. I was involved this week in a programme by Edward Stourton about the significance of this provocative term, and the place of religion more generally in contemporary culture and politics. The Analysis programme was broadcast on Radio 4 on Monday evening; you can listen to it hear on BBC iPlayer. Forget Toy Story 3 – the greatest piece of sophisticated entertainment for children is here at the poisson rouge website. It’s beautifully designed. There is a huge selection of games, puzzles, tasks and learning opportunities. It’s all intuitive – a child of two can work out what to do without any instructions from an adult. And instead of trapping children into the passivity of the TV it seems to open them up to endless sources of wonder and fun – like a toddler chasing pigeons in the park. I sat and watch a two-year old playing on the site, and I kept fighting with him to have a go. The problem of me posting about this is that any adults following the link at work will waste hours of their employer’s time on it. There have been lots of good articles out about Matteo Ricci, the Jesuit missionary to China, in this year which marks the 400th anniversary of his death. This one by Nicolas Standaert shows how much Ricci and his missionary strategy was shaped by the Chinese culture in which he was immersed. The first part of the article gives a very helpful summary of the distinctive approach to mission that he developed, under the influence of his former novice master Alessandro Valignano. It would be interesting to apply these principles to the way Christians approach the secular culture in the West today. 1. 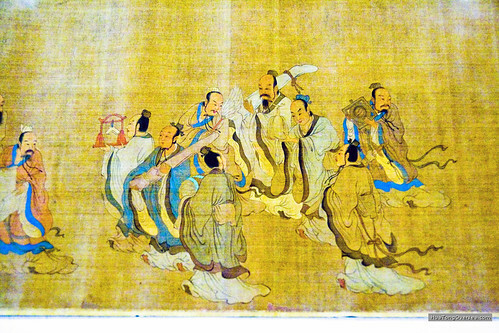 A policy of accommodation or adaptation to Chinese culture. Valignano, who had been disappointed by the limited degree of the Jesuits’ adaptation to Japanese culture, insisted in the first place on knowledge of the Chinese language. Therefore he called a few Jesuits to Macao in 1579 ordering them to focus their attention entirely on the study of language (fellow Jesuits criticised them for spending all their time studying Chinese). Two years later Michele Ruggieri (1543-1607) entered China through the south, and Matteo Ricci followed one year later. Probably inspired by the Japanese situation, they dressed like Buddhist monks. In 1595, after nearly fifteen years of experience, they changed this policy and adapted themselves to the life-style and etiquette of the Confucian elite of literati and officials. Ricci was responsible for this change. This new policy remained unchanged throughout the whole seventeenth century and for most Jesuit missionaries Matteo Ricci became the reference point with regard to the accommodation policy. 2. Propagation and evangelisation ‘from the top down’. Jesuits addressed themselves to the literate elite. The underlying idea was that if this elite, preferably the Emperor and his court, were converted, the whole country would be won for Christianity. The elite consisted mainly of literati, who had spent many years of their life preparing for the examinations they needed to pass to become officials. For these examinations they had to learn the Confucian classics and the commentaries. After having passed the Metropolitan examinations, which took place in Beijing every three years and at which about three hundred candidates were selected, they entered the official bureaucracy and received appointments as district magistrates or positions in the ministries. As in modern diplomatic service, the offices usually changed every three years. In order to enter into contact with this elite, Ricci studied the Confucian classics and, with his remarkable gift of memory, became a welcome guest at the philosophical discussion groups that were organised by this elite. 3. Indirect propagation of the faith by using European science and technology in order to attract the attention of the educated Chinese and convince them of the high level of European civilisation. Ricci offered a European clock to the Emperor, he introduced paintings which impressed the Chinese with their use of perspective, translated mathematical writings of Euclid with the commentaries of the famous Jesuit mathematician Christophorus Clavius (1538-1612), and printed an enormous global map which integrated the results of the latest world explorations. By these activities Ricci established friendly relationships which sometimes resulted in the conversion of members of the elite: Xu Guangqi (1562-1633; baptised as Paul in 1603) and Li Zhizao (1565-1630; baptised as Leo in 1610) are the most famous of Ricci’s time. 4. Openness to and tolerance of Chinese values. In China, Matteo Ricci encountered a society with high moral values, for which he expressed his admiration. Educated in the best Jesuit humanistic tradition, he favourably compared Confucius (552-479 BC) with ‘an other Seneca’ and the Confucians with ‘a sect of Epicurians, not in name, but in their laws and opinions’. Ricci was of the opinion that the excellent ethical and social doctrine of Confucianism should be complemented with the metaphysical ideas of Christianity. However, he rejected Buddhism, Taoism, and Neo-Confucianism, which in his eyes was corrupted by Buddhism. Ricci pleaded for a return to original Confucianism, which he considered to be a philosophy based on natural law. In his opinion it contained the idea of God. Finally, he adopted a tolerant attitude towards certain Confucian rites, such as the ancestral worship and the veneration of Confucius, which soon were labelled ‘civil rites’. A man passed me in the street this morning walking eight dogs. I think that is the most I have seen. And this is central London, not some park in the home counties. 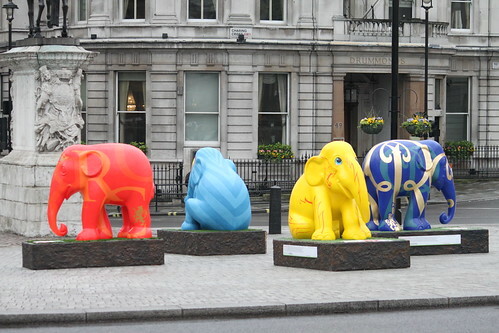 I already posted about the elephants that have been stationed around the streets and parks of London for the last few weeks. 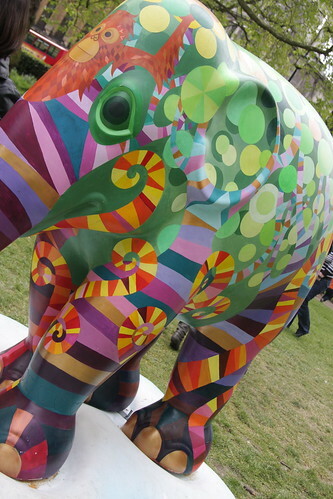 You can now see them all in one place, a herd of over 200 life-size baby elephants painted in glorious technicolour. This is for three days only, part of the ‘viewing’ process before they are auctioned off. It’s open today (25th June), tomorrow (26th) and Monday (28th). 10am to 7pm at the Royal Hospital, Chelsea. Admission is free. See the poster here. It was extraordinary, driving down the embankment on Wednesday morning, to peer through the railings as the elephants were being put in place. And to see two of them flying through the air, a good 40 feet up, as the cranes lifted them into position. You won’t get a chance to see a sight like this very often. I forgot to blog about the Kingdom of Ife exhibition at the British Museum, and I’ve just found out that it closes on 4 July. So you have a few days to go. Olodumare, the supreme god who inhabited the sky, sent the god Orishanla to create the world and humankind. He got drunk on palm wine and fell asleep, so his younger brother Oduduwa took over the job. Oduduwa climbed down an iron chain that had been hung from the sky to the watery land below. He carried from the sky above a snail-shell full of soil, a five-toed chicken, and a chameleon. He emptied out the soil, and the dry land was formed by the chicken kicking the soil around as he searched for food. The chameleon tested the land to see if it was firm. And then Orishanla (now sober) created human beings, while Oduduwa formed the rest of the living world. Oduduwa is described as the progenitor of the Yoruba race. I love creation stories. But this one excited me so much because it reminded me of Jack and the Beanstalk. This beautiful image of the world above being united to our own world by some kind of cord. Either let down from above, like the chain; or grown up from below, like the beanstalk. The Tower of Babel. Jacob’s ladder. The Cross. 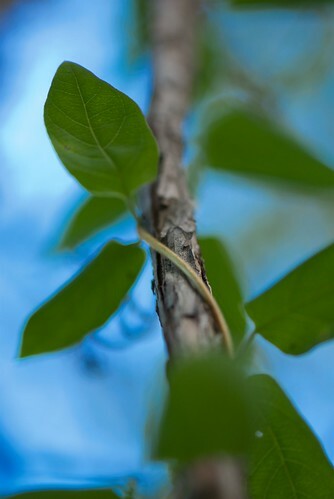 Human desire stretching up; and God – perhaps – reaching down. Although for Jack the world above the clouds was not particularly heavenly. It was always one of my favourite children’s stories. And even the comic version done for TV by the Goodies seemed magical to me. I must find a modern children’s book to see how it is being depicted today. One of the junctions near me in Chelsea has been given a glorious new makeover. It’s a T-junction: where Oakley Street, which runs from the Albert Bridge, meets the King’s Road, just where the fire station is. The pedestrian barriers have been removed; most of the traffic lights have been placed on adjacent lamp-posts, and the old poles removed; the bollards are no longer bollards, but have become arrow signs held up by thin steel tubes; and the pavements are lower. From a distance the stone-work looks like marble. It gives you a sense of space and freedom. And it makes you appreciate for the first time how cluttered and ugly most junctions are. 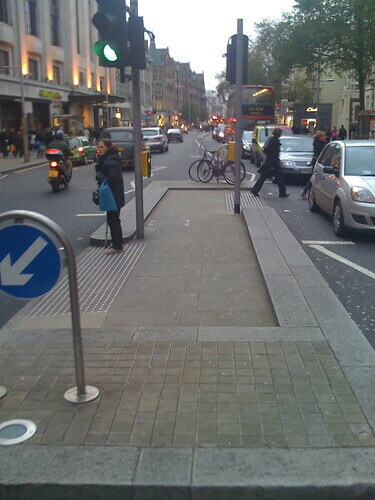 I read about this years ago, when the ‘shared space’ philosophy was first applied to Kensington High Street. The counter-intuitive idea is that if you give people fewer instructions about when and where and how to move around city centres, and if you open the common spaces up and de-clutter them, then everyone will become more sensitive to the presence of others, and more careful as they walk and drive around. It’s wonderful to see this experiment spreading to our area. ‘Naked roads’ are roads without any of the usual street furniture such as traffic lights, signs, kerbs, white lines and other road markings. Although initially this may seem like it would cause chaos on the roads and an increase in road crashes, at specific types of location naked roads have had the opposite effect and improved safety, according to some reports. 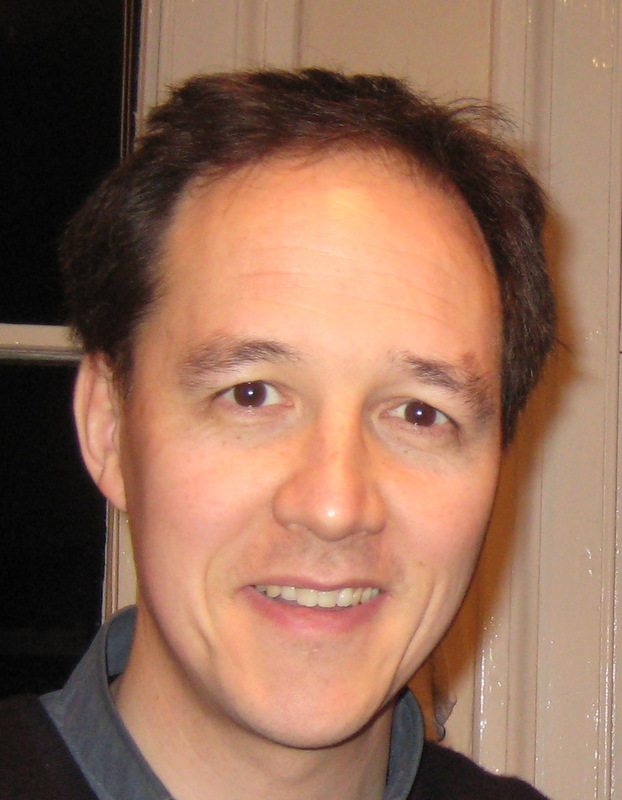 Monderman’s belief stemmed from the recognition by behavioural psychologists that single-purpose road such as motorways demand different cognitive skills to the complex human context of shared space in towns. Single-purpose roads benefit from simple, repetitive signs and signals. But it is believed that the opposite is true in a shared space. Makkinga is a small village in Friesland, which is a province in the north of the Netherlands. The village of Makkinga has a central high street running through it, which is used by children getting to school and by people passing through the village. It is also popular with tourists and has a flea market. The highway in Makkinga used to follow the design principles that traffic was given priority over pedestrians and cyclists. 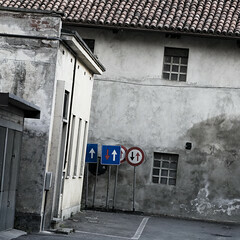 Traditional traffic control measures such as lights, traffic calming and signage were used. As with the scheme in Drachten, Monderman removed all traffic signs, markings and other instructions to drivers to prevent the road looking like a space designed for traffic. This created a more social space which encourages drivers to make eye contact with other road users to inform them of their intended actions. In Kensington High Street, almost 600 metres of railings have been removed to allow pedestrians to cross where they want. The results have discredited the belief that railings prevent accidents: in the two years after they were removed, pedestrian casualties declined three times faster than the London average. Traffic engineers believe that drivers are now keeping a sharper eye out for pedestrians because they know that they may cross at any point. The Royal Borough of Kensington and Chelsea is planning to introduce shared space ideas to Sloane Square next year. The aim is to encourage pedestrians to make greater use of the square, which is currently marooned by busy roads. A similar scheme is being planned for Exhibition Road. The idea of removing traffic lights was supported in a report published last month by the Institute of Economic Affairs. 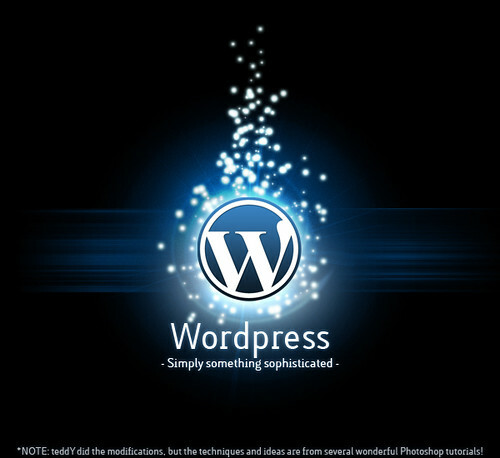 After all these months of blogging I have a certain brand-loyalty to WordPress, which is the free platform I use. It’s interesting to hear that they have just passed the milestone of 200 million posts published on WordPress.com (so this does not include all the self-hosted blogs using WordPress software). The news page took me to this WordPress tags page, which shows you the most popular tags used on recent posts. It gives you a snapshot of the areas that interest WordPress bloggers at the moment; and so it is one way of seeing into the mind of the contemporary culture. It shows you not what people are searching for (cf. the stats from Google), but what they are bothering to post about.